Note: This tutorial works with Angular 6. Forms and authentication are common features in every Angular app or generally any web application. A form is used to collect and submit information to web servers which will usually be persisted in a database while authentication is used to verify the identity of users before allowing them to access protected resources on the server. In this tutorial, you will create an Angular 7 application with two forms that send user information to a RESTful server to save it in the database (registration) and then allow users to authenticate themselves. 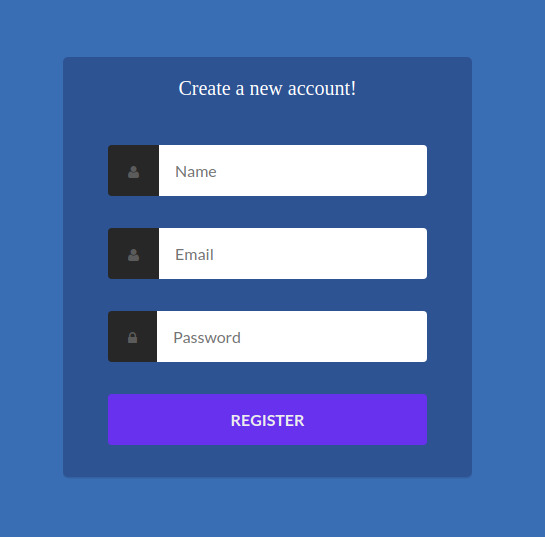 You'll create a login and register components with two forms to register and login users. Since Angular is only for the front-end, we'll also need a back-end server. We'll quickly create a server with Node and Express.js that exposes two endpoints for registering and authenticating users. Node.js and NPM. head over to their official website and grab the binaries for your system. The latest version of Angular CLI v7 installed (npm install -g @angular/cli). This will install express.js and a bunch of other modules such as sqlite3 for working with a SQLite database and jsonwebtoken for working witj JSON web tokens or JWTs. We are not going to explain this code here because it's thoroughly detailed in a previous tutorial. If you want to understand how the code above works, you can first read Node Express JWT Authentication — jsonwebtoken and bcryptjs. Your server will be served from http://localhost:3000. Since our server exposes a GET route, you can visit it with your web browser. You should see a blank page with the This is an authentication server message. That means your authentication server is working! You can also use a REST API client like Postman or cURL to send POST requests to the /register and /login endpoints to create in the SQLite database and authenticate users before we create the Angular 7 UI. If the POST requests are successful you should get a JSON object with your user information, the access token and the expiration date otherwise you will get an error with a status code. That's it for the server part! You should leave this terminal open with your server running and let's start creating the Angular 7 application. You will be propmted if Would you like to add Angular routing? Enter y. And Which stylesheet format would you like to use? Select CSS. This will create a module called auth with routing (thanks to the --routing switch). Two src/app/auth/auth-routing.module.ts (the routing module for the auth module) and src/app/auth/auth.module.ts files will be created. You see that we prefixed the names of the components with the auth/ path which tells the CLI to generate them inside the auth module. We first import the RegisterComponent and LoginComponent components from their corresponding paths and add two routes in the routes array which is passed to Router with the forChild() method. We use the loadChildren property of the route which takes the path of the auth module. Since we use the auth path, all components of the auth module will be available under the /auth path i.e the /auth/register and /auth/login routes. For styling the UI we'll be inspired from this codepen. Angular provides two ways for working with forms, the template-based forms and reactive forms. In this example, we'll be using template-based forms by including the FormsModule and by using directives such ngModel for data binding. In this section, we'll use Angular directives such as ngModel, ngForm and ngSubmit to create a template-based form for registering users. For each input control, we use the ngModel directive by itself to register the control as a child of the form. For each input, we add a name attribute to the input control. This is required when using template-based forms and the ngModel directive. We declare a template variable for the form using the #myform="ngForm" syntax. The variable myform becomes a reference to the NgForm instance which contains all the controls of the form. It creates a [FormControl](https://angular.io/api/forms/FormControl) instance from a domain model and binds it to a form control element. The FormControl instance tracks the value, user interaction, and validation status of the control and keeps the view synced with the model. If used within a parent form, the directive also registers itself with the form as a child control. This directive is used by itself or as part of a larger form. Use the [ngModel](https://angular.io/api/forms/NgModel) selector to activate it. It creates a top-level [FormGroup](https://angular.io/api/forms/FormGroup) instance and binds it to a form to track aggregate form value and validation status. As soon as you import the [FormsModule](https://angular.io/api/forms/FormsModule), this directive becomes active by default on all <form> tags. You don't need to add a special selector. You optionally export the directive into a local template variable using [ngForm](https://angular.io/api/forms/NgForm) as the key (ex: #myForm="[ngForm](https://angular.io/api/forms/NgForm)"). We listen to the form ngSubmit event so when the user makes a form submission we execute the register(form) method which takes a reference to the NgForm instance that was submitted. We use the value attribute of NgForm to read the values of the form. Now, if you fill your form and click on the register button you should see the values of the form printed on your browser's console as a JSON object. Check out how we submit the form content to the Express.js authentication server with HttpClient POST request in this tutorial: Using Angular HttpClient with Node & Express.js -- Example POST Request. In the same way we created the registration form we use the ngModel, ngForm and ngSubmit directives to create the login form. When we import the FormsModule, an NgForm instance is automatically created for our form. We use the #myform="ngForm" to create a myform reference to the instance that we can use to work with the form. For example to get the form's values once it's submitted. We add an ngModel directive to the <input> tags to add them to the NgForm instance corresponding to our login form. The tag should have a name property for this to properly work. We use the ngSubmit event to bind a login(myform) method to the form's submission event. The login() method takes the reference to the form's NgForm instance. In this method we simply use the value attribute of the passed NgForm to print the values of our login form in the console. Check out this tutorial for how to send a POST request with HttpClient to the authentication server created with Node and Express.js: Using Angular HttpClient with Node & Express.js -- Example POST Request. If you fill the login form and click on the login button, you should see the form values displayed on the console. 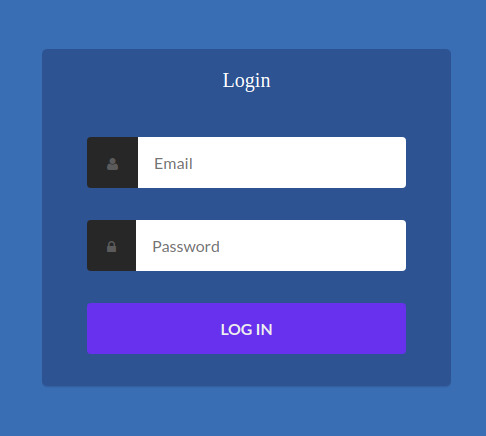 In this tutorial, we've created two login and register forms that will be used to send authentication details to a Node and Express.js authentication server. We've seen how to use the template-driven approach in Angular 7 to work with forms. We've seen how we can get a reference to the NgForm instance of a form which is created automatically by Angular when you import FormsModule in your project. And how to use ngModel to register individual form tags with the NgForm instance of the HTML form and finally how we submit the form using the ngSubmit event and how to access the form values inside the bound method.